Good day to all you readers out there! The Thanksgiving weekend has finally come to a close and we are now on to Christmas. It seems too early, but I’m also excited. I held out until Sunday to start decorating, and I’m super proud of myself for that. They would have been up had I not hosted my very first Thanksgiving dinner on Saturday night, but I did so it had to stay fall for one more day. Let me just mention my turkey too…I was super nervous about cooking it myself because the pressure is on. You know what i’m talking about, ladies. Or dudes that take on the cooking. It’s a big endeavor to take on, but I’m so happy to say I NAILED IT. Hopefully not just beginner’s luck either, I think it was a legit experience that will just be the first of many more to come. Look at this baby!! She’s a beaut, ain’t she? Not only did it look pretty darn good, but it was really moist and fully cooked. The compliments rained down. It was like God opened up the Heavens and zapped my turkey-cooking anxiety down with lightning bolt compliments. Maybe I’m being a bit dramatic, but my Grandma never told me how challenging it can be to try and get all the food on the table at the same time, hot and cooked properly. Thankfully, they did contribute a few sides, like cranberry dressing, a corn casserole, and gravy, as well as the nasty green bean casserole I hate even serving. For some reason gravy and green bean casseroles are just unnecessary and gross to me. I don’t care for them. To be honest, I don’t really care for any of the food at Thanksgiving aside from the pumpkin pie and the sweet potatoes and the Stovetop stuffing. Yup, I like that stuffing to be made from a box and in large quantities. lol This year I did end up liking the turkey too though! Win for me, lots of compliments and Matthew was a rockstar helping with last minute errands and with Nashy. He made the mashed potatoes too. I have a good man! 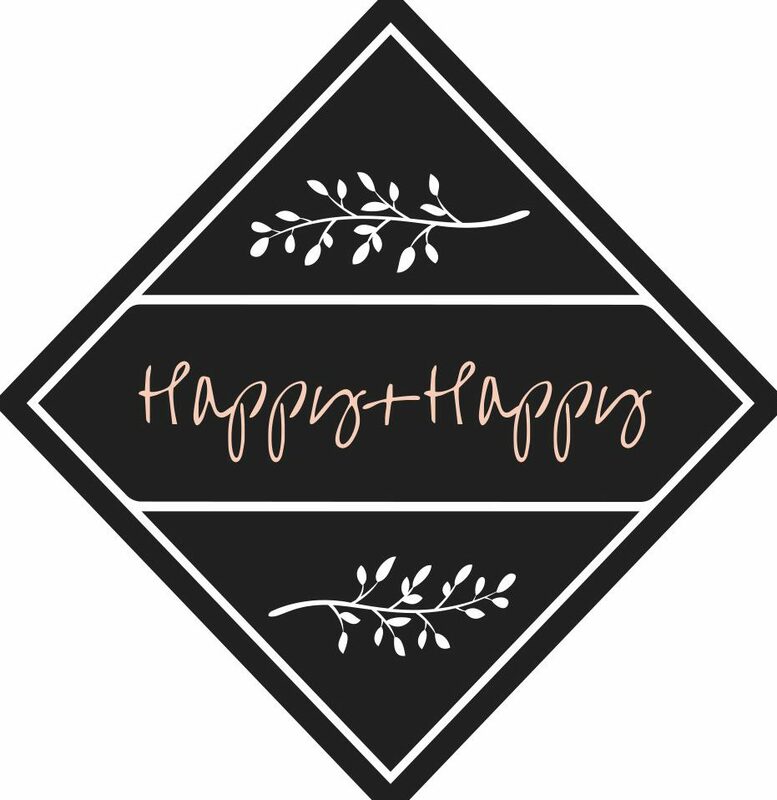 Anyway, this post isn’t really supposed to be focused on Thanksgiving food, I wanted to talk a little about self-talk and the habits we make mentally. 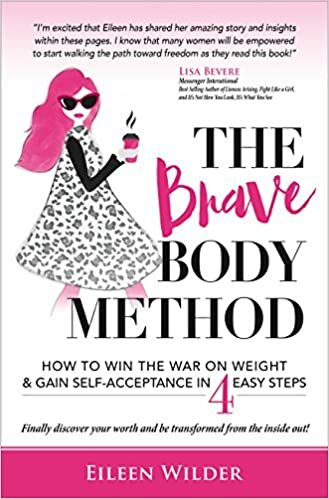 I started reading a book called the Brave Body Method by Eileen Wilder, who is both a Pastor and an eating disorder recoveree (not a word, but I think it should be, it’s so fitting here I can’t change it). SEE?! These are the instructions right here! I never paired the verses together like this before and it made lightbulbs go on in my head. Like, “Ohhhh I can do this myself! duhhh!” You wanna renew your mind? Change your thoughts, think of these things. Just like if you were to try and plant a flower, you need to have fresh, healthy soil in the pot. Old stale, dry dirt won’t facilitate growth or sustain any life. I want to get better, have a better life, feel better, think better, so I want to renew my mind. I’m sick of the constant, steady streaming of negativity and degrading comments flooding my mind. the worst part is it’s all coming from someone who knows how much it hurts – myself. Some days I just wish I could have one good day where I wake up and the first thought on my mind isn’t, “Does my stomach feel flat today?” And then continue the day just being and doing…not berating myself and allowing anxiety to take over my life. Just one day, I’d like to not compare myself, ridicule myself, blame myself, punish myself for having a body that’s is just plain human. If I focus on what this verse is saying to do, then there is no room for any of that in my mind. Focus on what is TRUE; that’s the very first instruction. What is true about me? About you? Well let’s just look into that. Well, that’s all a big fat LIE. I still have a toned body. Maybe not shredded like I can be at 135 pounds, but dang it I look GOOD at 155 too! Not only that, but my body fat percentage and the doctor says I am in a perfectly healthy range. “You’re Fat.” LIE debunked. “You’re gaining weight.” Well, not really. I’ve been in the same range bouncing around for a while now, and if it’s up I know exactly why for the most part. It fluctuates anyway. Also, if I’m healthy, so what? DEBUNKED. “You look disgusting.” Matthew says, repeatedly, very strongly, otherwise. DEBUNKKKEDD. Perhaps the worst thing that ever happened to me was the praise I recieved when I initially lost all the weight when I began boxing. The compliments, the praise, the awe and shock and attention I got was incredible. It lifted me up and placed me on this pedestal I wasn’t prepared for. I hadn’t been the “it” girl in high school. I never really dated the guys in my school either, I wasn’t the pretty, fit one like most of my friends. So I wasn’t prepared to be treated like that. When people looked at me and began coming to me for advice on how they could do it too, I was overwhelmed and felt like a rockstar. My head probably got a little too big for my shoulders when I swore I would never gain it back either . Guys were interested, people I never spoke to told me I was beautiful, I was even featured in an ad for my gym in a local newspaper for my transformation. It was like I was once a fat little rat and then I trained hard and ate less cheese and my captors praised me and rang the bell when I became a thin, strong rat (that’s a reference to B.F Skinner’s work…in case you found it weird and off the wall..lol). Small=Better became my life. But you know what? When I look at my son I know for a fact that above all else my body was created for much more than its exterior. I can’t believe the lie that I am no one, I’m someone’s Mama! And a girlfriend, a friend, a sister, a daughter, a granddaughter, an athlete, an employee, and so much more. My identity is not rooted in the fat that does or does not accumulate around my waist. For a long time I failed to see any worth in who I am without boxing. “Without boxing and a small figure my life means nothing..I have no accomplishments.” Another lie. Above all these things, I am highly favored, loved and adored by Christ. How could I be nothing when He says I am lovely and capable of all things through Him?? That first line is so important, you could almost stop the whole verse right there. “Whatever is true…think about such things.” That’s the #1 thing before moving on to any of the others. Ask yourself the next time you think something to yourself, “Is this true?” If it’s a lie then denounce it, stop it, and speak something true and positive. Can’t tell if it’s a lie? Same way I tell people whether or not they are hearing God’s voice. Does it line up with what the Bible says He thinks of you? Doe sit make you feel good, empowered, energized? Would you want your child saying that to him/her self? If it’s a no to any of these, then end it. It’s not egotistical or snobby to say good things about yourself. It’s cocky when you have no regard for others or you start placing yourself above others, but in the right context it’s absolutely healthy (and I think necessary!) to compliment yourself. If you think your hair looks cute today, then darn it tell yourself! If you’re looking good, then TELL yourself, don’t just post a selfie and wait for others to say so. Want a new mind? Think on whatever is true. If anxiety is what robs you of your peace then put an end to anxious thoughts by asking yourself if they are true, right, pure, excellent, or any of the above adjectives. If they aren’t then dismiss them immediately and speak things into your life and mind that are. I felt like God showed me a while ago that there was a strong spirit of anxiety plaguing our nation and the younger generations. And it has tried to affect me too. But we have to fight back. 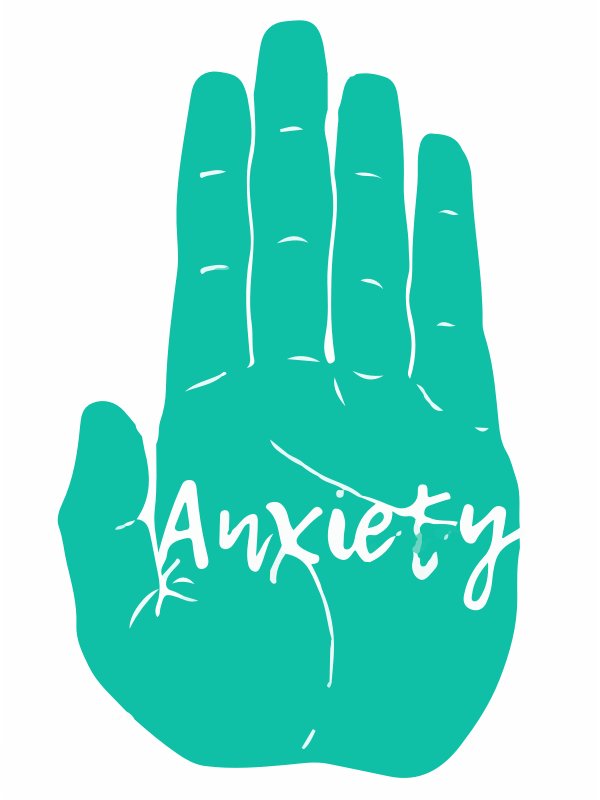 Anxiety is a result of fear and struggle and panic…all of which have no place in our lives. We have no reason to fear if we trust wholly in the Lord to take care of us. My boxing coach always says that rhythm is the opposite of panic. That a fighter who panics has none, but a fighter who rests in his rhythmical footwork wastes less energy and is always ready. He has no reason to panic. Find your rhythm of positivity and let it build your confidence so that you never have to panic. What you say to yourself has the power to be life-giving or to swallow up all of your joy, it’s your decision to break a bad habit or let it keep festering. I encourage you to pick up a copy of Eileen’s book, the Brave Body Method and read it if you’ve had trouble with negative self-talk. I’m still learning to be kind to myself. More than anything, I cling to what God says about me and pray that what I think will line up with His word. Have a wonderful day, friends! Here is a puppy start you off thinking about wonderful, good things! 😉 Talk soon.